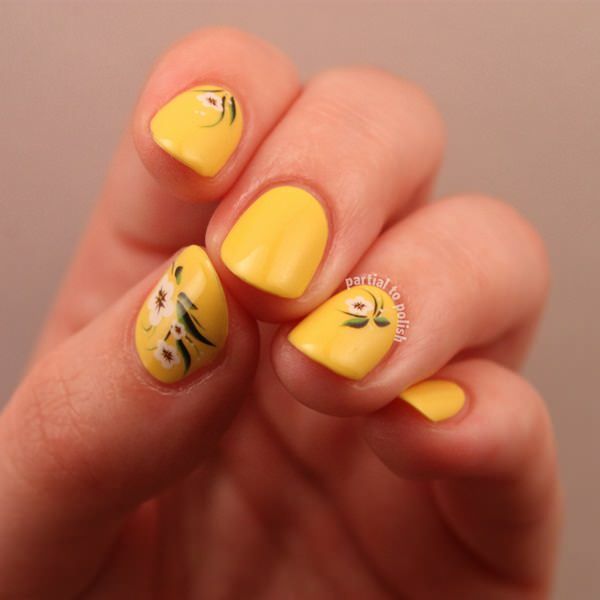 Spring is here and it’s time to show off those nails. 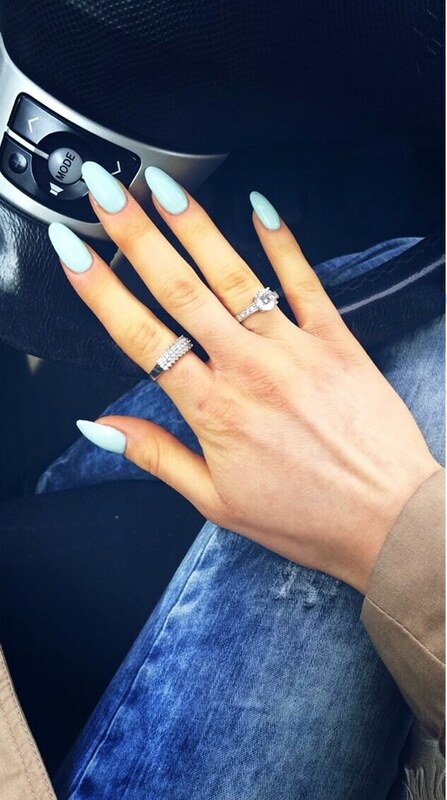 Nails can be the best accessory you have -the finishing touch to the perfect outfit. 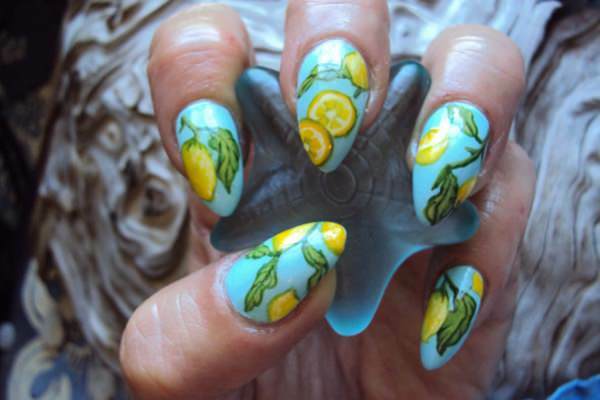 Let’s look at some of the most on-trend nails designs for spring. Geometry Class: You have seen geometric patterns on jewelry, clothes and bags this season. 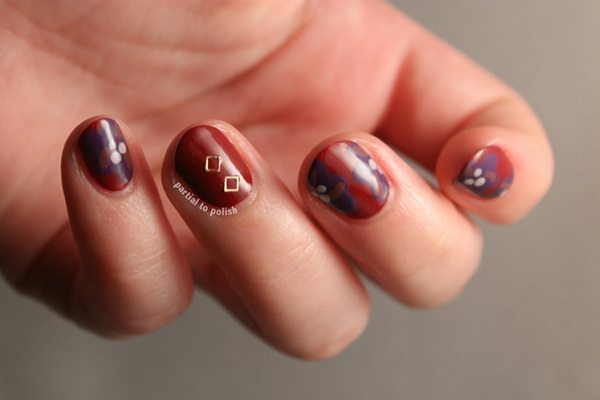 It’s easy to bring a bit of geometry to your nails using scotch tape. This tutorial shows you how to use precut strips of tape to create any design you desire. 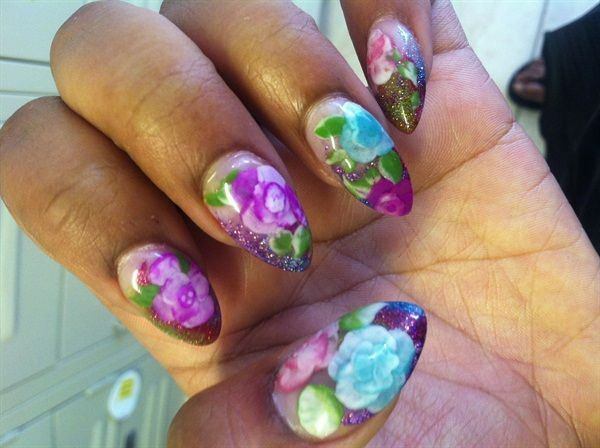 The only supplies you will needs are household scissors, basic scotch tape and three contrasting nail shades. First you are going to paint your base coat and let it dry thoroughly. 2. Next, take a piece of scotch tape and cut several triangles of various sizes. 3. 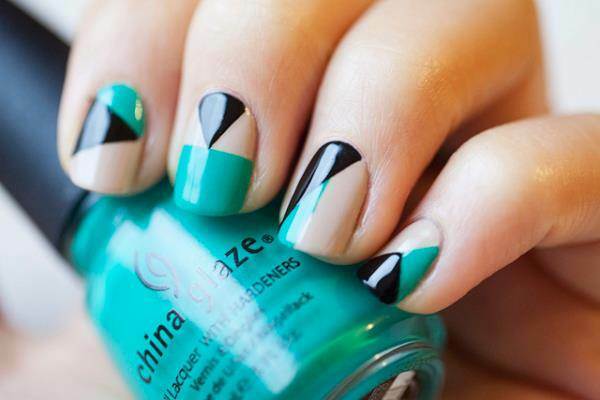 Place the tape triangles on random spots of each nail if you want an abstract look. 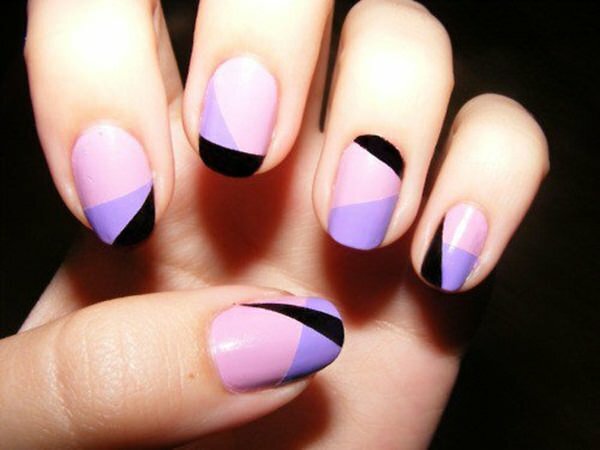 Use the same size triangles in the same places on each nail if you want a consistent look. Be sure to leave part of the tape overhanging the nail so you have something to grab to pull of the tape once nails are dry. 4. Now you can paint over the triangles with additional shades, going lighter to darkest. 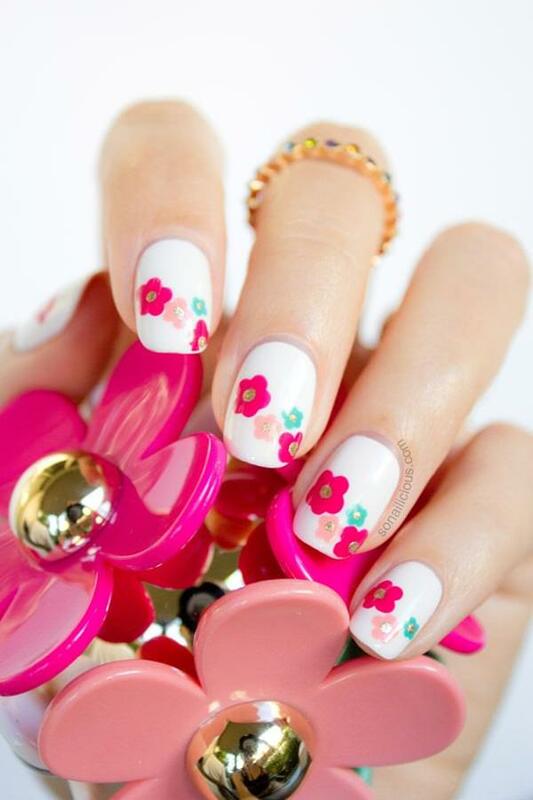 Let your nails dry. 5. 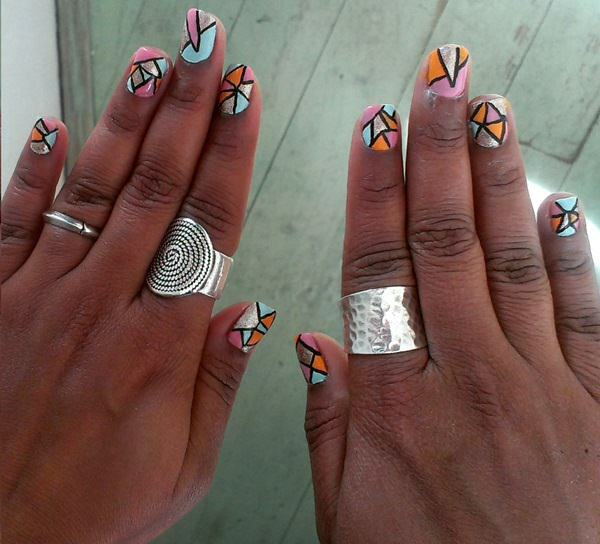 Pull off the tape strips to reveal a cool geometric look. 5. Apply top coat. Let dry and you are good to go! 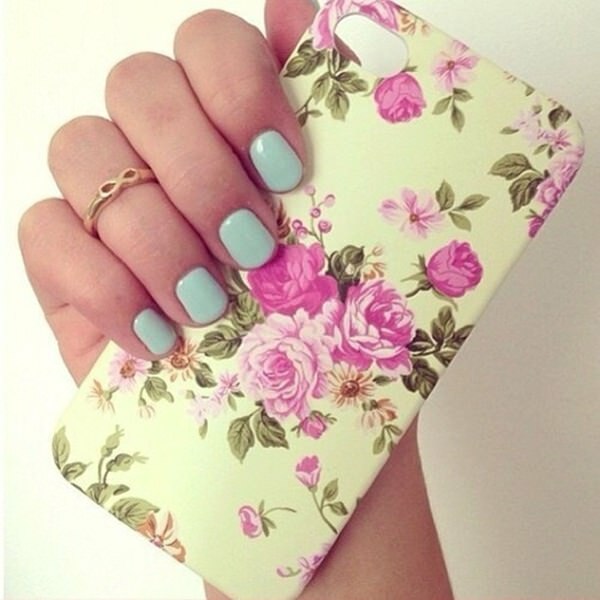 Flirty Floral: Nothing says spring more than flowers. 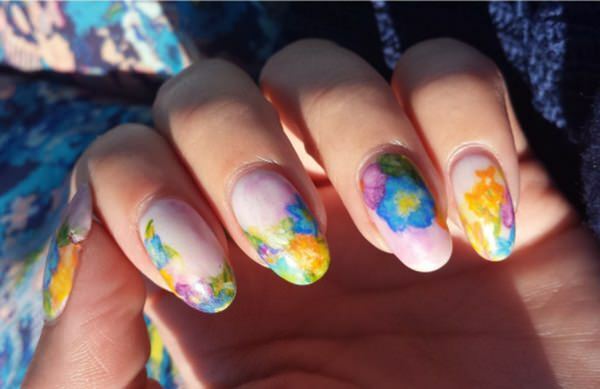 You might be intimidated by the idea of letting your nails bloom – but this technique shows that it couldn’t be any easier. You don’t need any special tools – just a few of your favorite shades. Choose the lightest shade for your base. 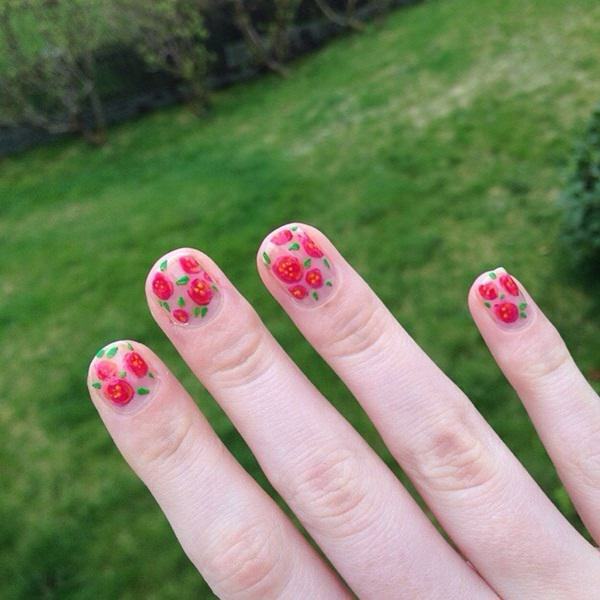 Paint your nails and let them dry thoroughly. 2. 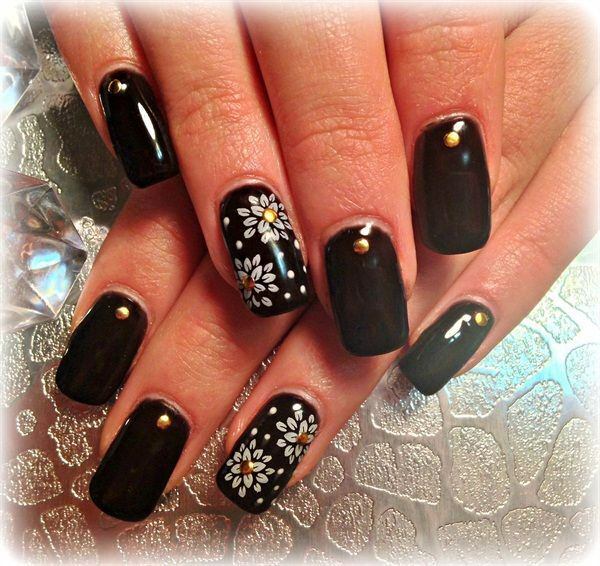 Somewhat centrally on each nail, place five dots of a darker shade. These will be your petals. 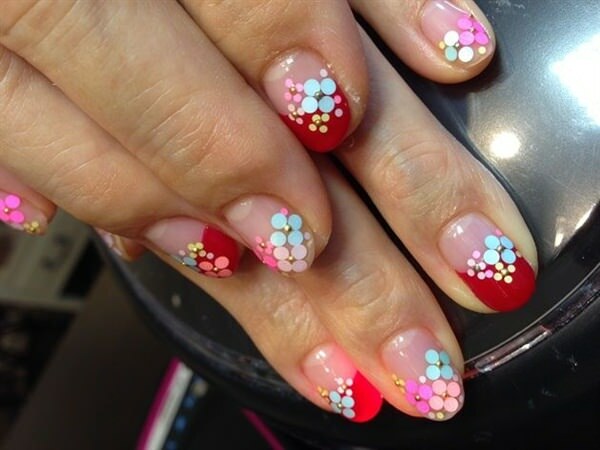 If you feel that your nail brush is too unwieldy to make perfect dots, you can use the rounded tip at the end of a bobby-pin. 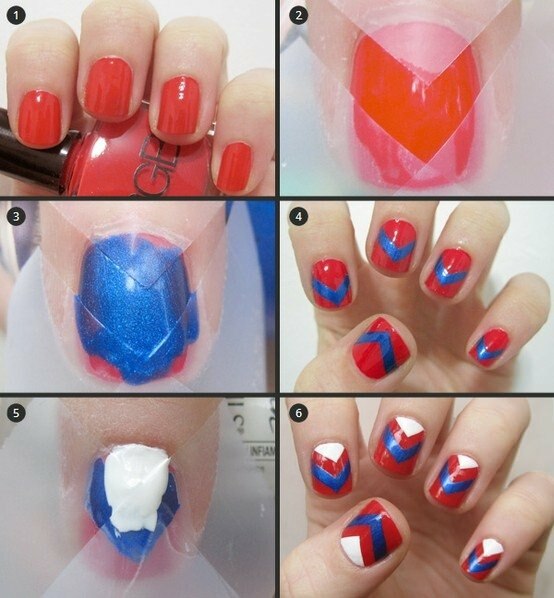 Do this 3 or 4 times throughout the nail depending on how much space is available. 3. 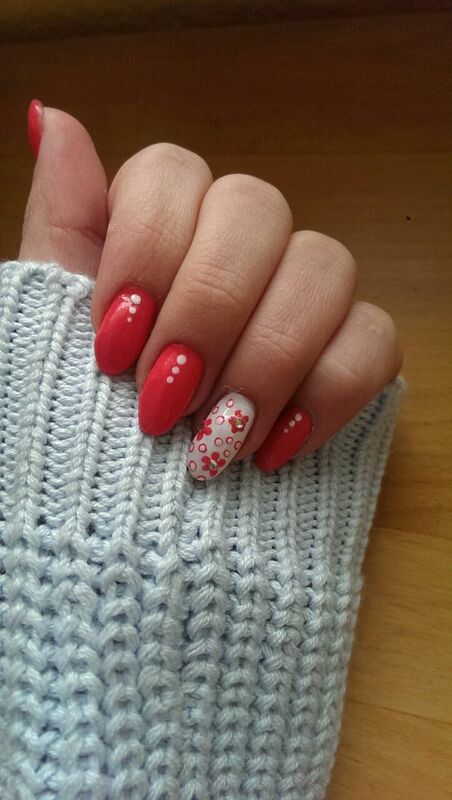 Once that coat is dry, take a shade lighter than your petals and create 5 dots just inside the first set of dots. 4. 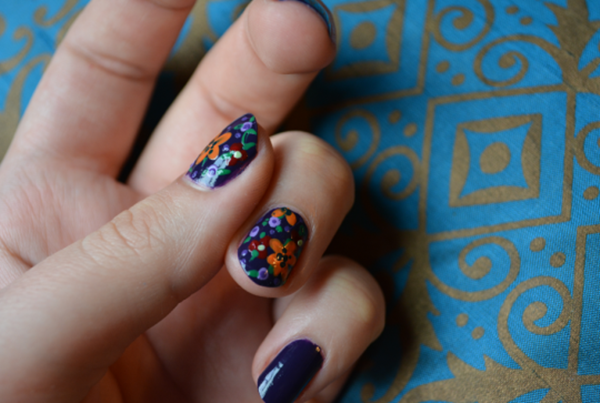 Once those dots have dried, add white dots to the center of each flower. 5. 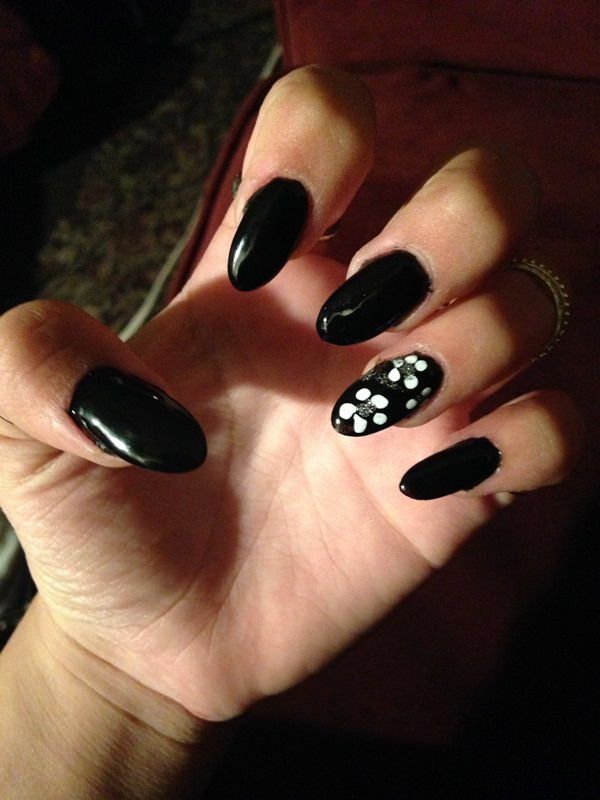 You can now either add green dots randomly throughout your nails or leave them as is. 6. 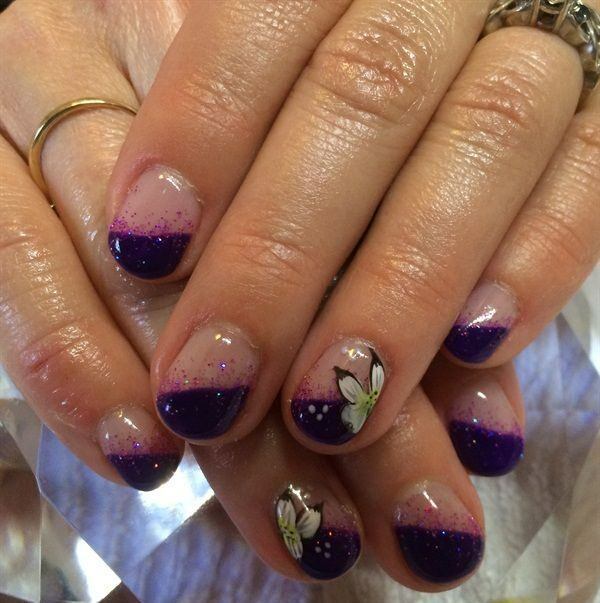 Apply a top coat and you are ready to bloom! Hint of Mint: Mint green is everywhere this season. 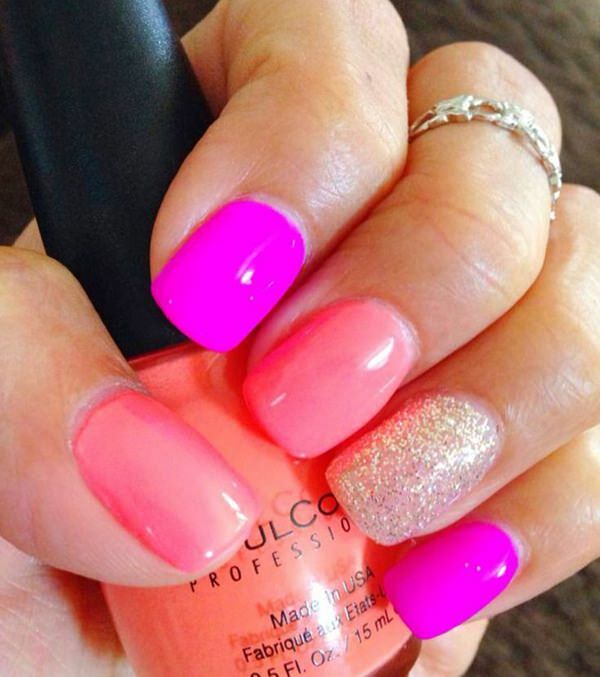 Cheerful and bright – it’s the perfect shade to say goodbye to winter. 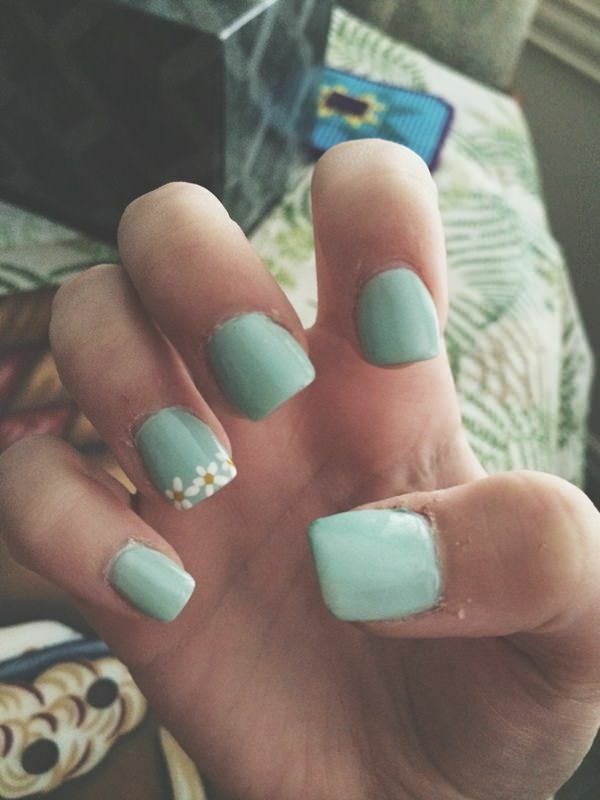 In this image, China Glaze’s Re-Fresh Mint is accented with acrylic gold studs. 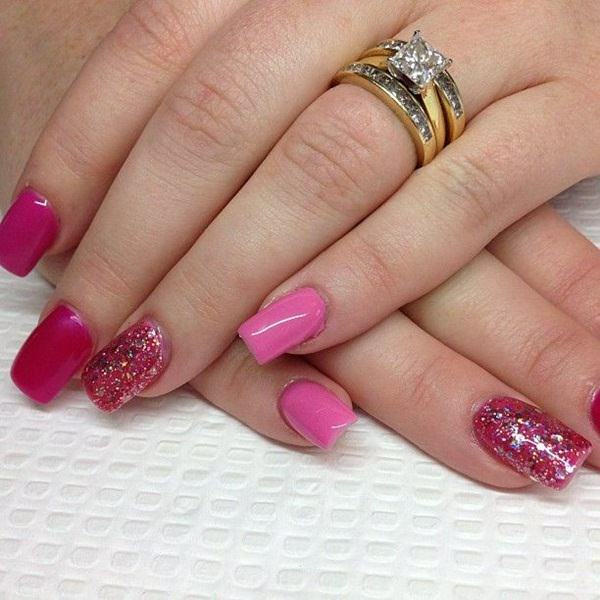 Rhinestones also work for a more glamorous look. Achieving this look is relatively simple. The hardest part is lining up the studs. 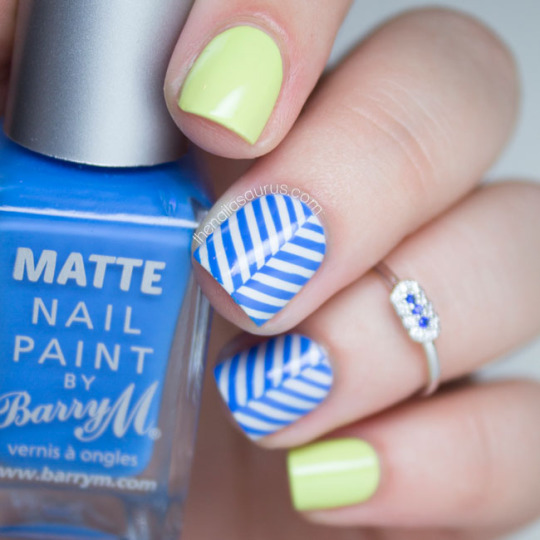 First, choose one of the cool minty shades that are out right now. 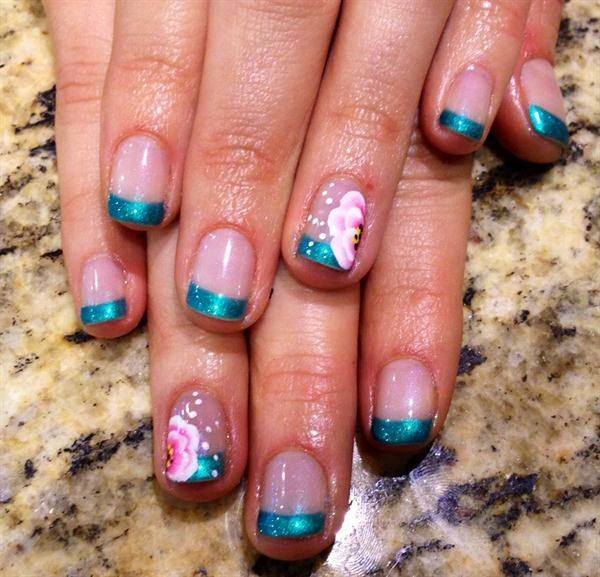 Besides China’s Glaze’s option, we are in love with O.P.I.’s That’s Hula-rious, Zoya’s Tiana, and CoverGirl Outlast’s Mint Mojito 285. 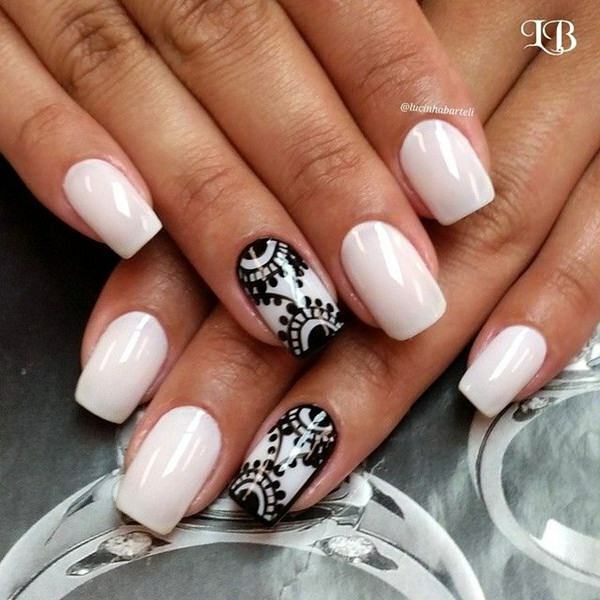 To create this chic, modern look, you will need your base coat, clear polish, a nail application brush or small paint brush, your studs or rhinestones, and your top coat. 1. Paint your base and let it dry. 2. Place some clear polish on a flat surface like a paper plate. 3. 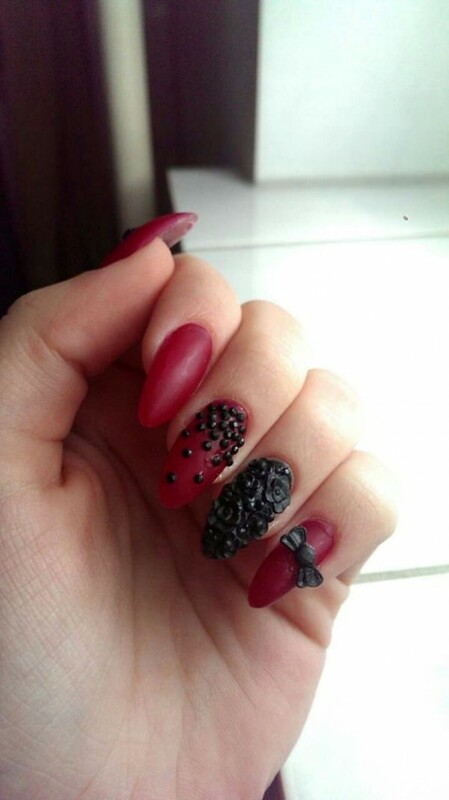 Dip your brush in the clear polish and carefully dap the places on your nail where you want to apply your studs. 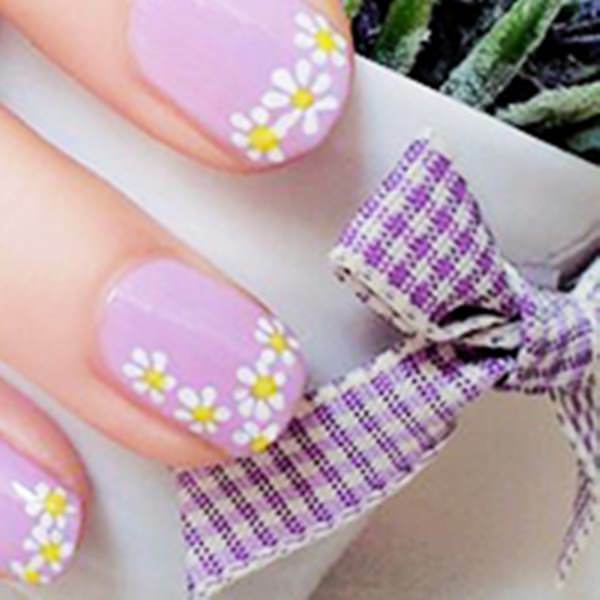 You only need to put a tiny dot of clean polish on the nail. 4. Wipe the excess clean polish off your brush and use it to pick up the stud and place it on the dot of clear polish on your nail. 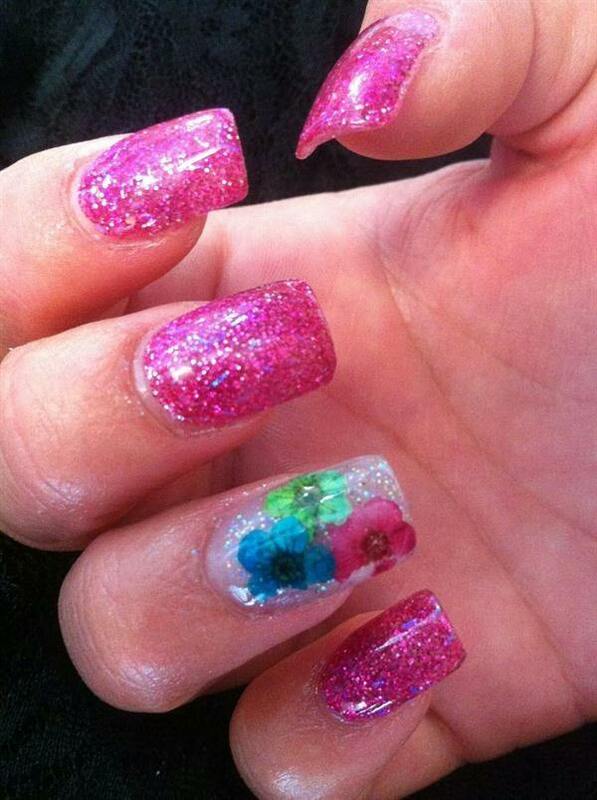 Use the opposite end of your brush to push the stud gently but securely onto the nail. 5. 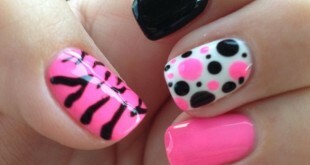 Repeat on each nail until you have the desired look. 6. 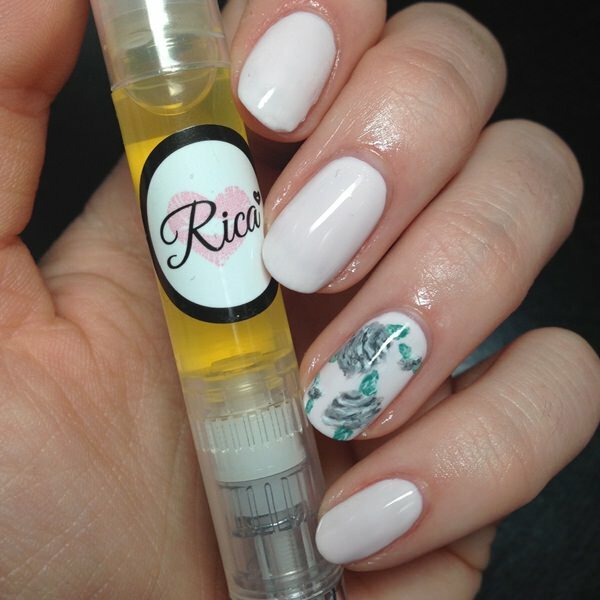 Apply your top coat and off you go! 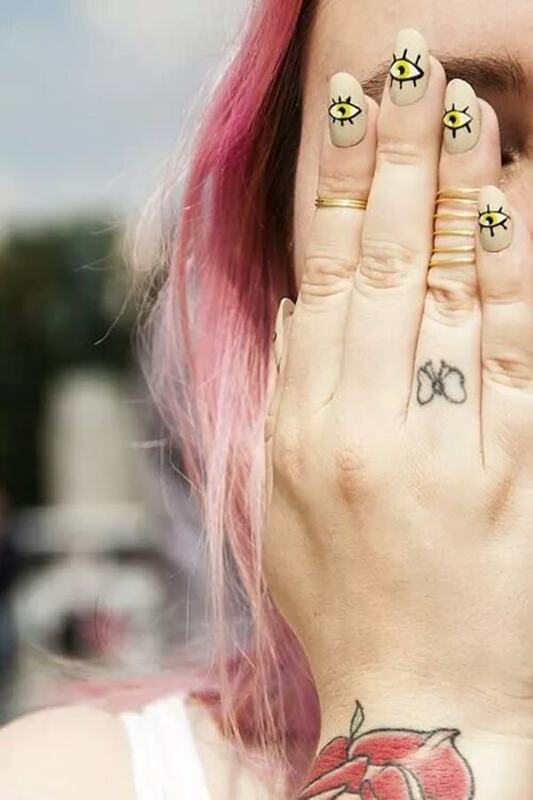 Going Gray: If you find yourself day-dreaming about Christian Grey, you might want to incorporate a bit of gray into your nail art this spring. 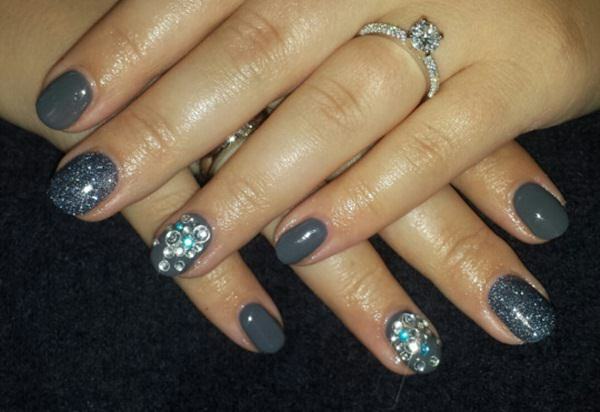 Last month OPI launched their signature 50 Shades of Grey Collection. 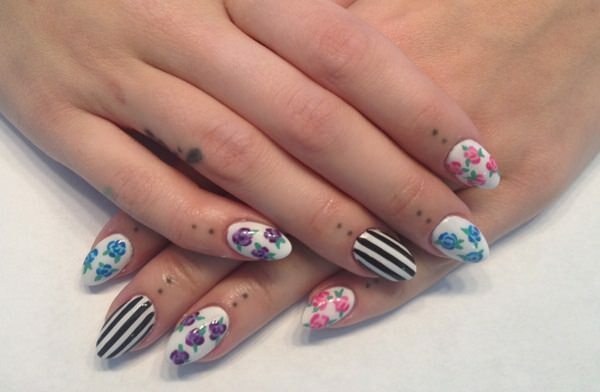 Pick two of your favorites to create a modern French manicure. 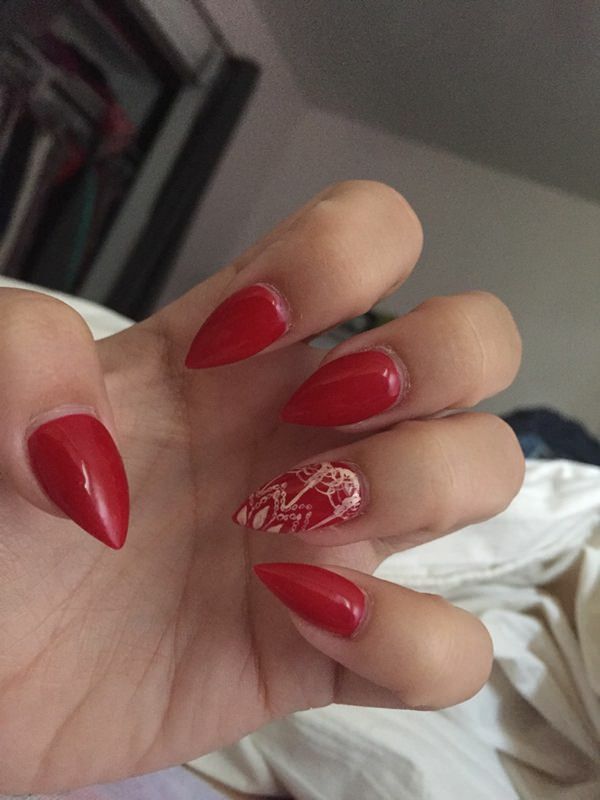 Who doesn't love a classic red. 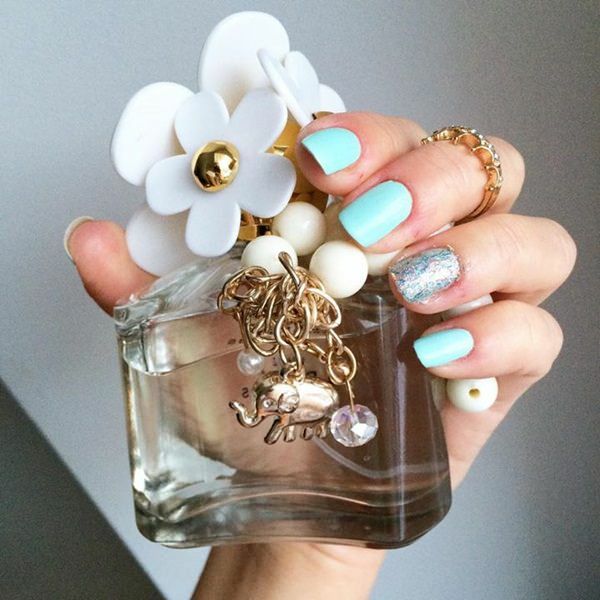 This is #romanticallyinvolved from @opi_products #opi50shadesofgrey collection. 1. 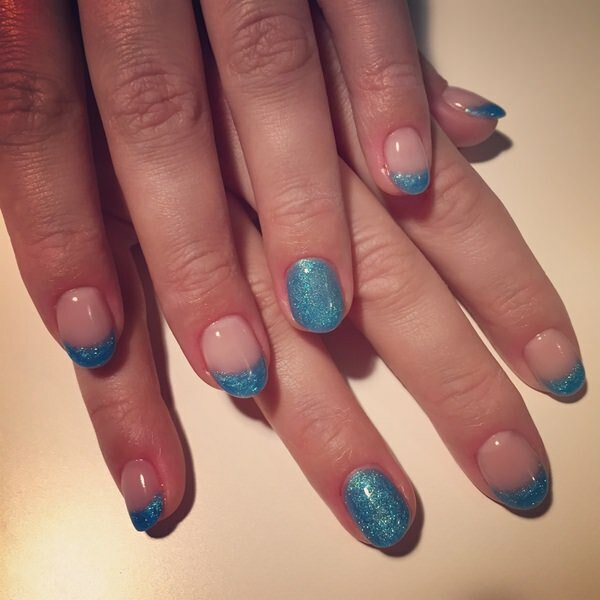 To achieve this updated French Manicure, begin by painting your base coat. Any of the mysterious grays from O.P.I.’s 50 Shades Collection will work. To do a color this rich justice, we recommend using two coats. 2. 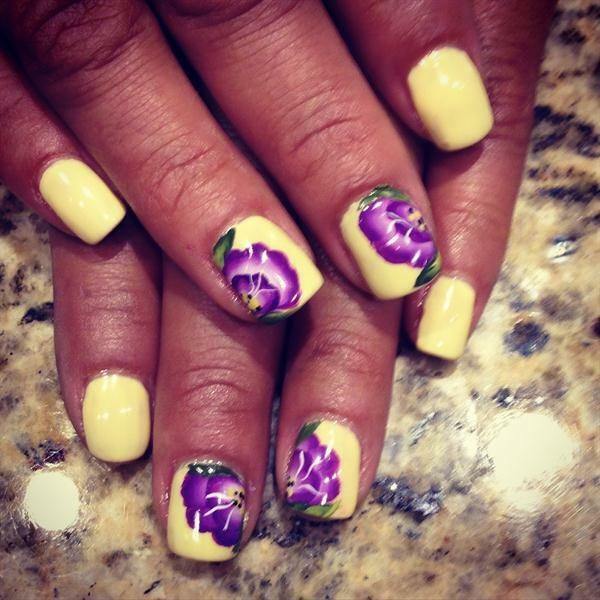 Once your base coat dries, paint crescents at the top of each nail where your natural white tips would be. 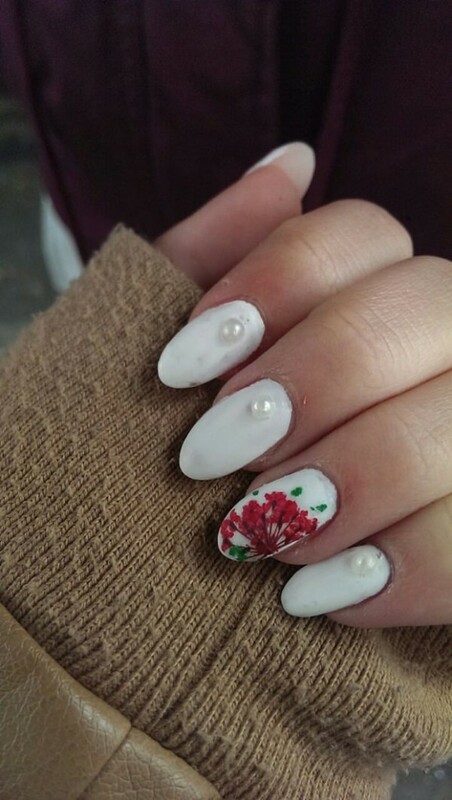 If you aren’t confident about painting freehand, use a French manicure kit that includes nail guides. They can be found at any drugstore or beauty supply store. 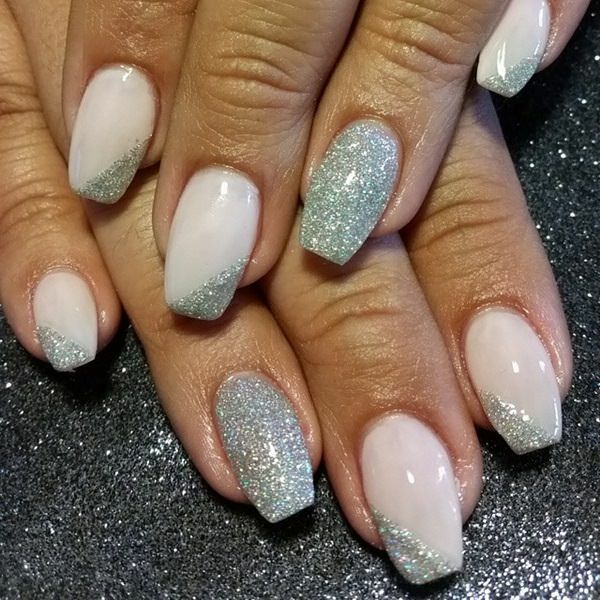 This French manicure was modernized by using a silvery glitter where traditional white would usually go. 3. 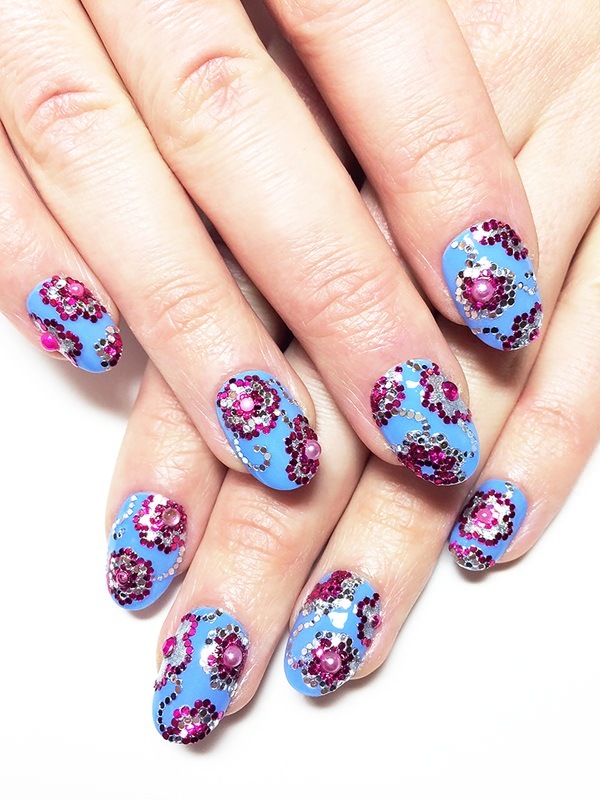 Apply your top coat and you’re done. 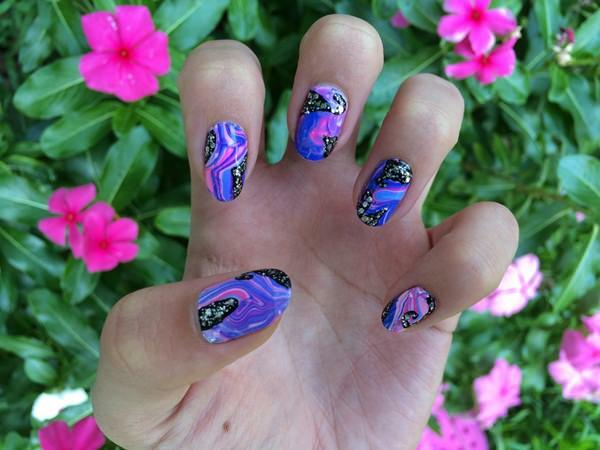 It’s that easy to add a little drama to your nails. 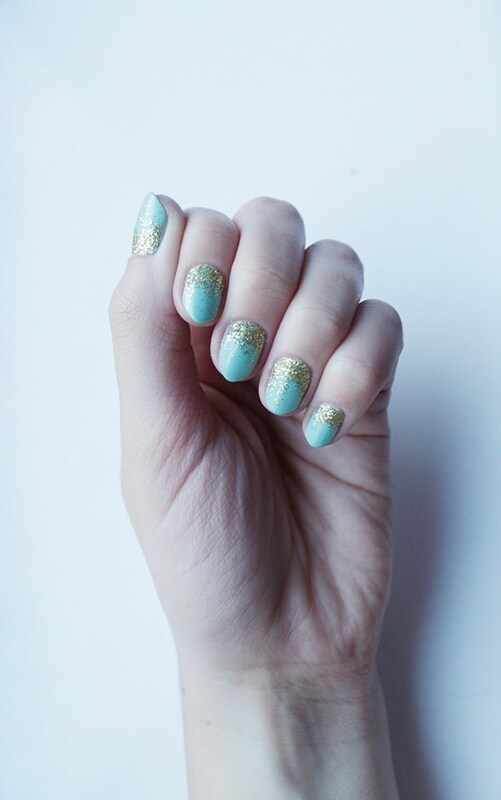 Glitzy Glitter: Every little girl will tell you that glitter makes you happy – and we never really outgrow our love of it. 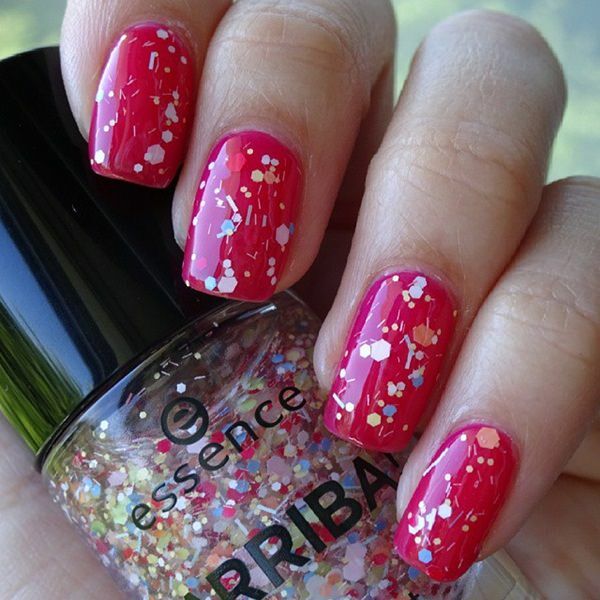 With so many new glitter polishes available, it’s easy to bring a bit of bling to your spring. 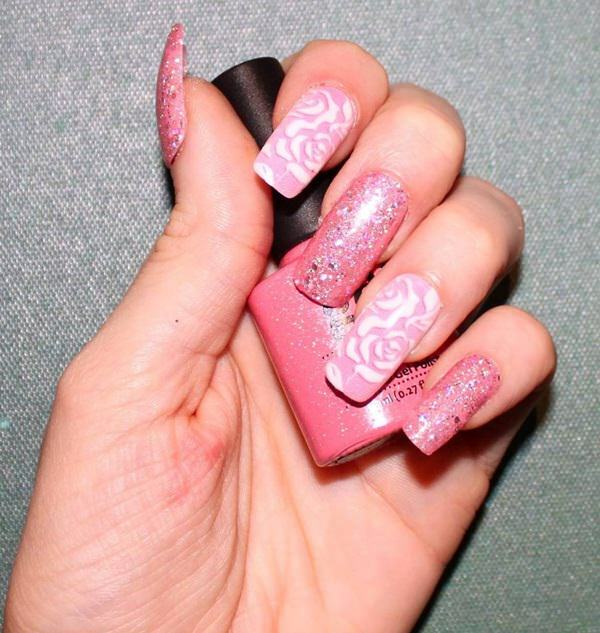 This particular look offers ombre shading in additional to glitter. Lovely Lace: Lace is very on trend for spring. 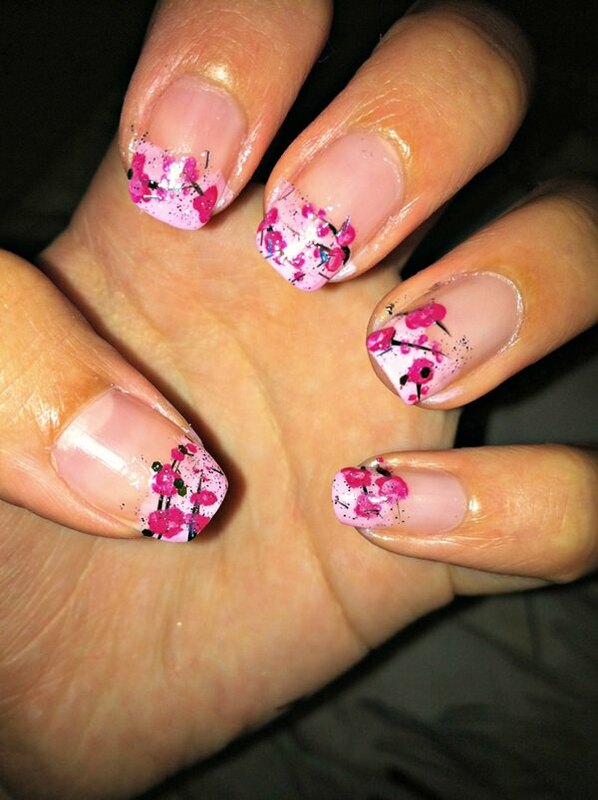 Soft and delicate, it’s a simple way to add a bit of romance to your nails. Create white lace for a ladylike look, or black for added drama. 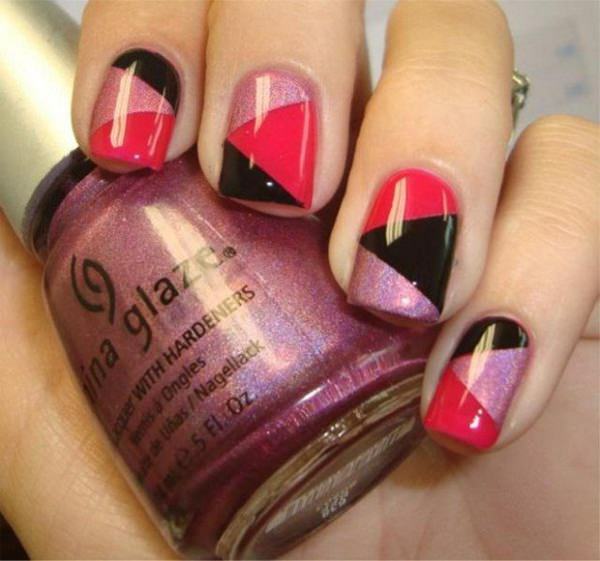 This simple design only requires two contrasting nail shades and a steady hand. 1. Being by painting your base coat. Any of the season’s pastels will work perfectly for this look. Two coats are recommended. Let dry. 2. Follow the attached tutorial with your contrasting shade. Black or white are the prefect go-to shades for lace. 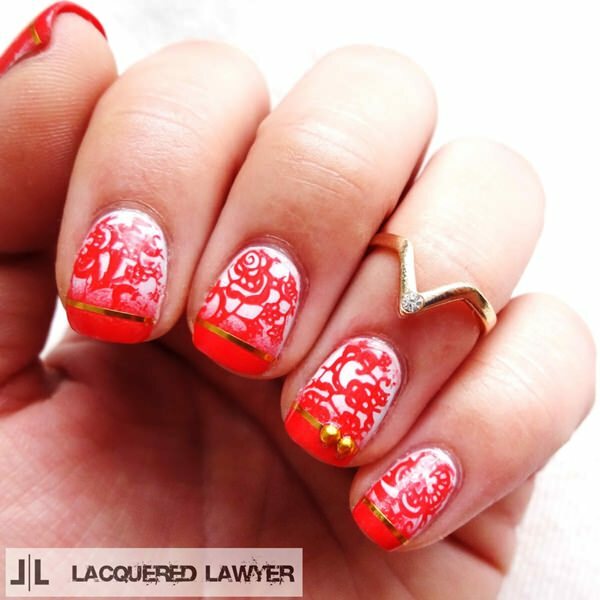 Follow the pattern of arcs and circles below to achieve the look of lace. 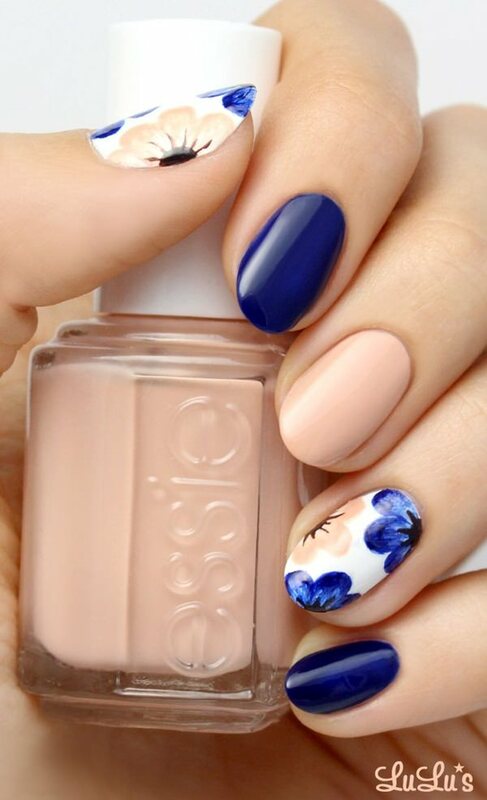 You can add lace to every nail or choose one for the prefect accent look. If you brush is too thick, you can use the rounded end of a bobby-pin or even a toothpick. 3. 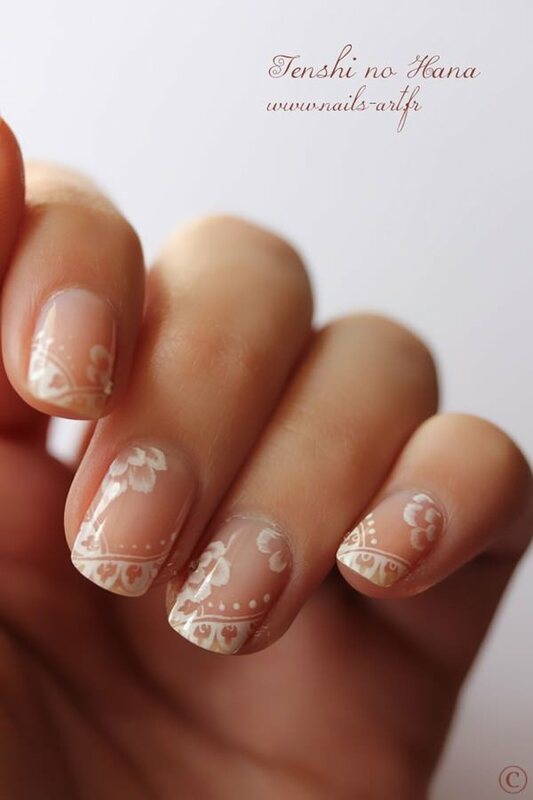 Let your lace dry and add your top coat and there you have the most ladylike nails around. Previous Which is Better: Eyebrow Threading or Waxing?